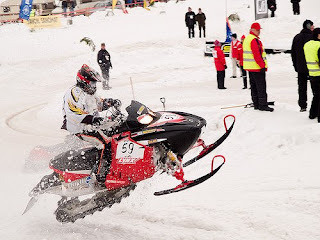 Living up to his 'Iceman' nickname, Kimi Raikkonen shrugged off his last stage roll in Finland today as 'part of the sport' and said his World Rally Championship debut had been good fun. Despite engine problems today, Raikkonen was placed 15th overall when he crashed his Abarth Grande Punto S2000 on a left-hand corner, 3km from the start of the day's final stage, the 29.29km Vaarinmaja (SS19). The car rolled into a ditch and although crowds of spectators managed to drag it back onto the road it was too badly damaged to carry on. Minutes after the accident, Raikkonen said the crash was the result of putting his car in the wrong position on the approach to the corner. "I knew that place but I came in with too wide a line," he said, "I thought we were going to go wide but then, unfortunately, there were a lot of rocks and when I hit them the car went over." "I thought we wouldn’t finish the rally because we had too many problems with the engine! But it was good fun and nobody got hurt. It happens - it's part of rallying," he added. 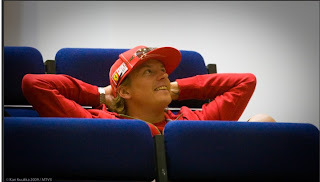 Back in the Service Park, Raikkonen's co-driver Kaj Lindstrom told wrc.com he was proud of what Kimi had achieved. "He proved he has the speed, which before the rally nobody knew for sure," he said. "Getting to the finish of the rally was the main thing here, but with the engine in such a bad shape we knew, realistically, that wasn't going to happen. "Kimi wasn't overdriving to compensate for the engine, it was all down to being on the wrong line on a very tricky corner - the same one which caught out Mads Ostberg."